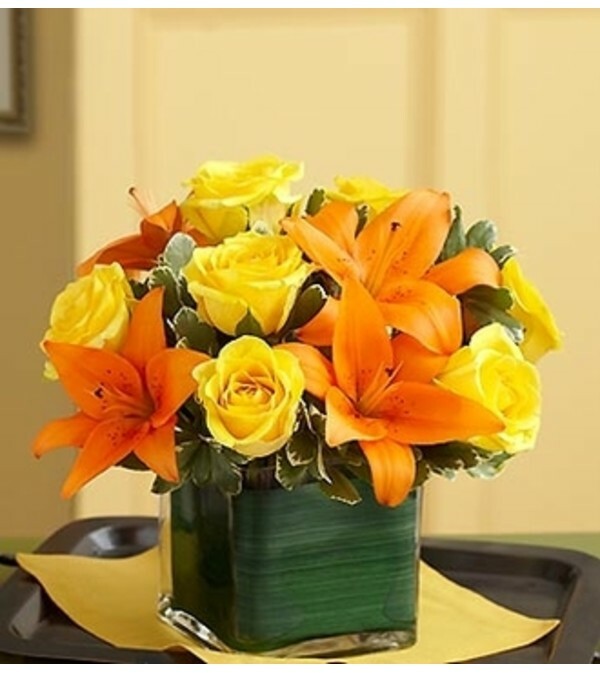 Bright yellow roses and vibrant orange lilies share the spotlight in this chic, hand-designed arrangement. 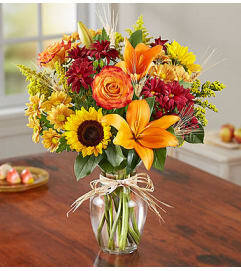 Gathered fresh in a modern cube vase lined with exotic ti leaf ribbon, it makes a big impression at birthdays, anniversaries or any celebration. 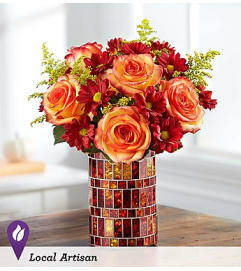 Hand-crafted arrangement of gorgeous roses and lilies, accented by variegated pittosporum.